Fan assisted supply and extract systems are provided for test cell ventilation, with the options of speed inverter and damper control, to provide temperature control. 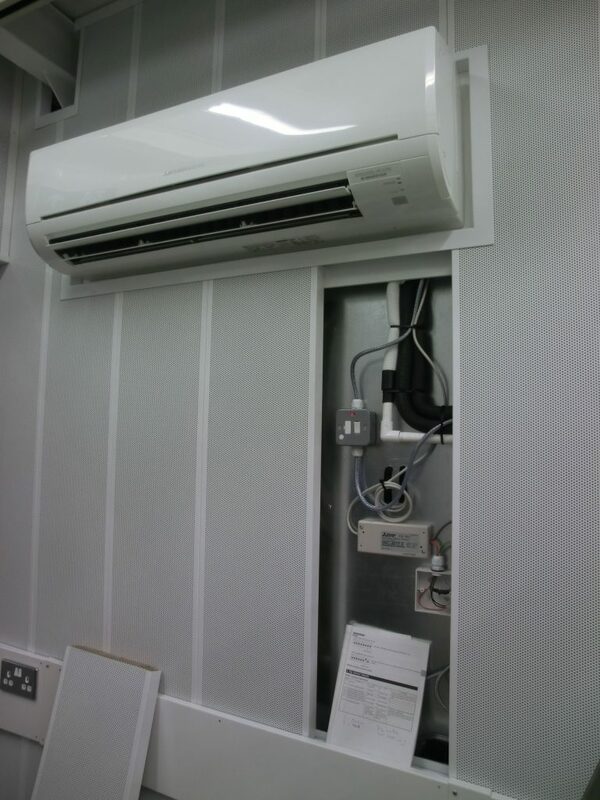 Individual or multiple heat pump modules are provided for temperature conditioning. For applications where temperature stability is required within less than +/-1oC deviation. Normally supplied for engine aspiration air supply air volumes of 0.5 to 6 m3/s. 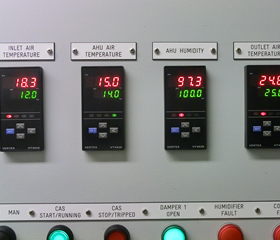 Humidity control can be added, with accuracy of +/-5%RH. These systems are complex as chilled water or refrigerant cooling, low pressure hot water or electrical heating circuits are required. 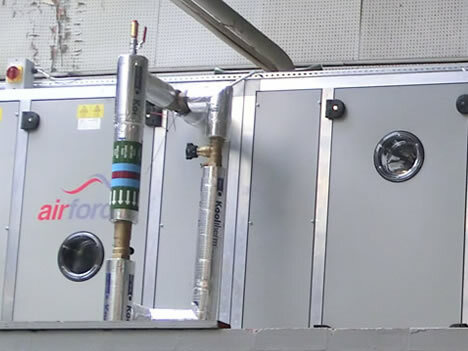 For larger ventilation systems to control heat gains inside enclosures or test rooms we provide balanced forced draught inlet and exhaust systems. By using inverter controls it is possible to control room temperature provided that there is sufficient heat reflection within the space to heat 20 percent of the incoming air in winter conditions. Beyond these parameters we can add heating and cooling coils. Other features include control shut-off or fire dampers, filters and directional vane grilles. In Local Exhaust Ventilation systems contaminate extraction is required in order to remove harmful substances, vapours or airborne products. In test cells, hydrocarbons and monoxide gases require ‘low level purge’ and ‘exhaust dilution’ systems. In product assembly, manufacturing bays or sampling machine exhausts, high or low level extracts are required in order to remove vapour or product from the operator spaces. Our systems utilise sealed industrial systems, Atec rated fan air movers, optional carbon filtration and special discharge cowls. EVS silencers are also utilised with EVP fan enclosures in order to limit noise emissions. 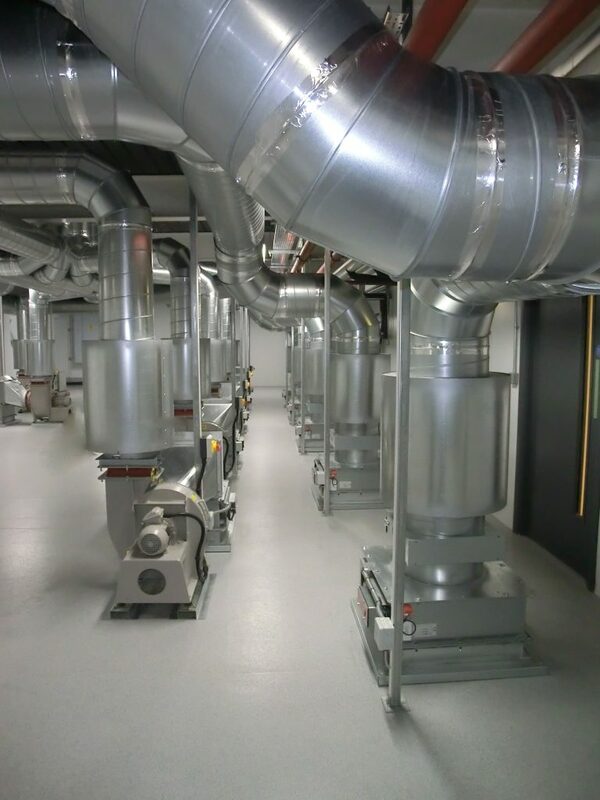 Primarily used for heating and cooling control room and computer rooms, we have adapted the application to provide cooling and temperature control to test cells and rig rooms where it is impractical to install ductwork systems. We have installed multiple units as a centralised spine cooling duct where there are large heat loads. Engine exhaust systems with EVSI low pressure primary and secondary silencing. 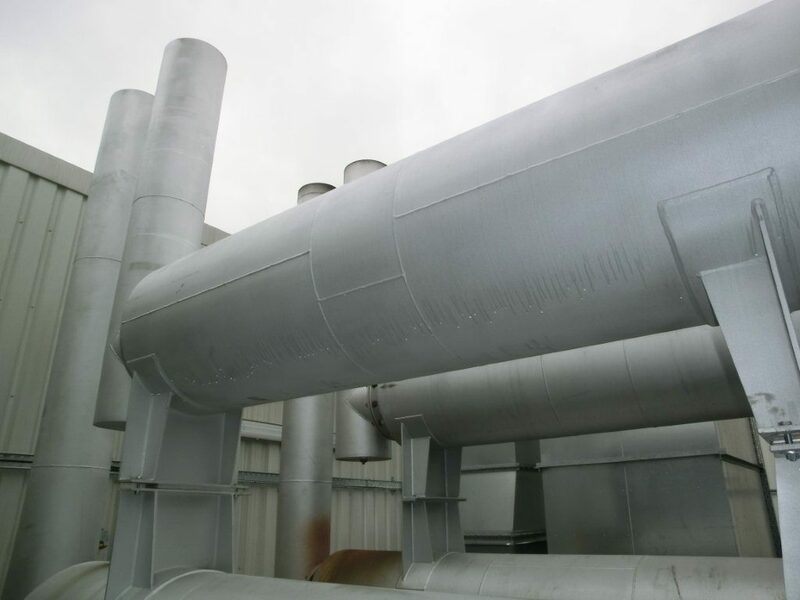 Fresh air ventilation can be added to the discharge to dilute the exhaust gas and ensure sufficient ‘efflux’ velocity is maintained to disperse the exhaust fumes. Low and high level purge ventilation systems with Atex rated fans are supplied to remove any collections of gas or hydrocarbons within the Test Cell.